We are excited to feature the work of Lisa Wiltse as the next Ctrl+P: Photography Taken Offline artist. Lisa Wiltse was born in Weston, Connecticut, USA and graduated from the Art Institute of Boston with a BFA in photography. In 2004 she moved to Sydney, Australia where she worked as a staff photographer for the Sydney Morning Herald. In 2008, she decided to pursue her freelance career. She has traveled extensively, documenting everyday life in marginalized communities with a focus on women and children in places such as Bangladesh, Uganda, Philippines, Bolivia, New Zealand and the USA. 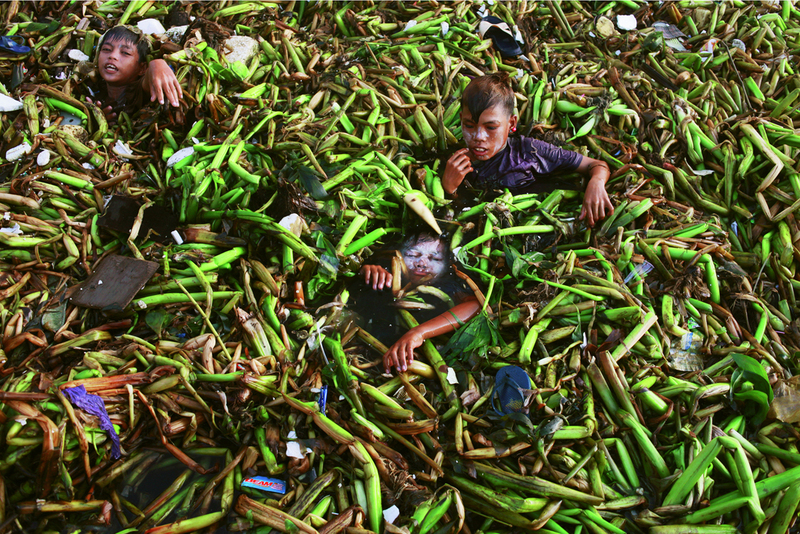 She is currently a contributor with Getty reportage and based in the New York city area. The Charcoal Project originates in the Ulingan community in Manila where thousands of Filipino urban slum dwellers live amid filth and swirls of toxic smoke, eking out a living making charcoal. The combined smell of the dense sea, burning charcoal, and decaying waste greets one at the mouth of the village, foreshadowing the extreme conditions within the community. Metro Manila is one of the largest and most densely populated cities in the world. It is home to around 20 million people and rising by another quarter of a million every year. Rural poverty has caused thousands of Filipinos to migrate to Manila every year from the countryside in search of a better life. However, they find few jobs and often have nowhere to live as the city is running out of space. As a result 35% of the population is living in slums with limited access to sanitation, healthcare and education. 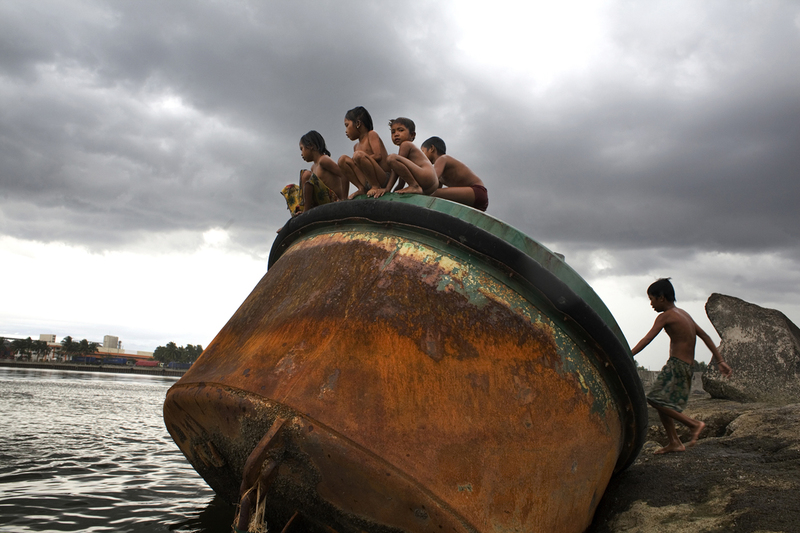 The slums near Manila Bay are unhealthy enough—the Ulingans live next to a rubbish dump. But the rudimentary process of making charcoal in open pits next to the dump site exposes the squatters to even more harmful emissions such as carbon monoxide, nitrous oxide, and soot, as well as chemicals from burning treated wood. The result is a myriad of respiratory illnesses and heart disease. Estimates suggest that 60% of the population has tuberculosis while other lung problems and water-borne diseases are commonplace. Children, who comprise a vital portion of the work force, labor without protective masks, gloves, or boots. Some are naked. They work and play in thick toxic smoke, dragging soggy scraps of wood scavenged from garbage dumps and construction sites. Groups of children scour areas of ash and soot searching for lucrative metal left exposed by continual burn off. Makeshift shelters constructed from tarpaulin and plastic are strewn across the landscape. Instead of going to school, children – usually young girls – have to spend hours collecting firewood to heat their homes to cook and to sell. These children were the subject of my work in this area—The Charcoal Kids of Ulingan.